Combining high-tech compression and copper infused technology, this Copper Tech® Golf Glove not only helps your grip—it may also soothe and comfort arthritic hands. Since copper is believed to support better circulation and oxygenation of working muscles, it may help prevent pain, strain, stiffness and fatigue while helping reduce recovery time. The copper-infused glove’s non-slip woven silicon pattern also provides a better grip on your golf club, while the glove keeps muscles and joints warm, yet wicks away sweat to prevent chafing, rashes and odor. 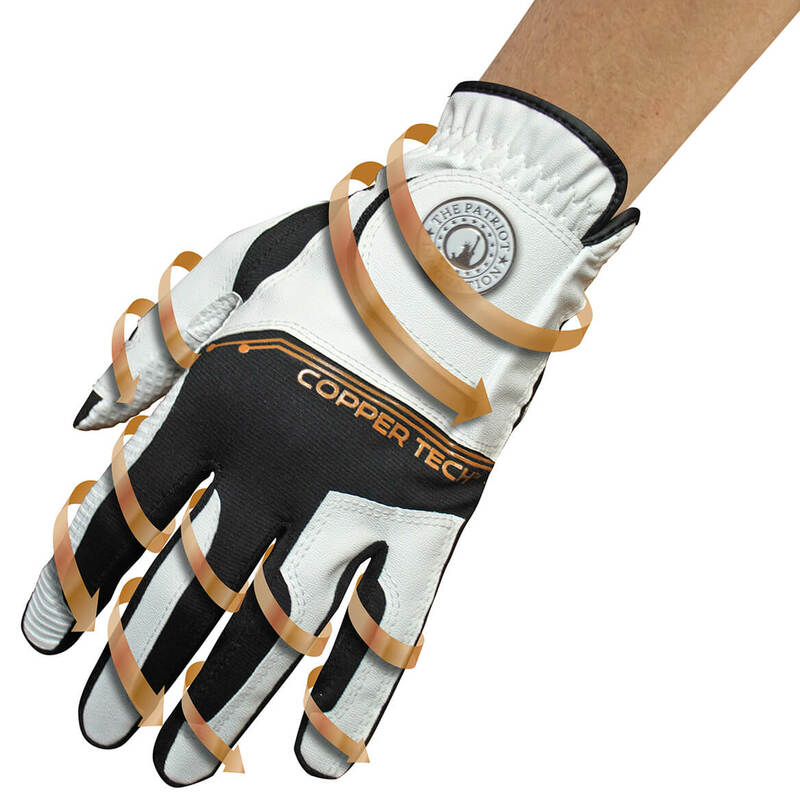 For added convenience on the course, the Copper Tech® golf glove also includes a magnetic ball marker. Designed in both men’s and women’s fit for left hand; one size fits most. Specify style: men’s or women’s. Imported. 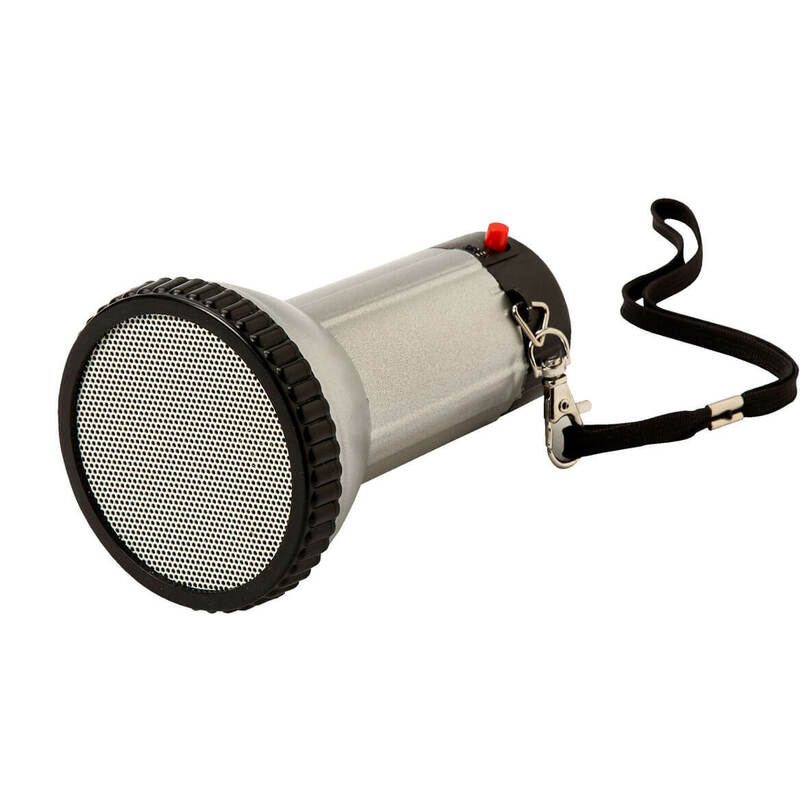 Powerful personal megaphone lets you be heard above a crowd, especially in an emergency. Carry your mini megaphone by the strap to sports events and save your voice from strain. Keep this small megaphone bedside to summon help. 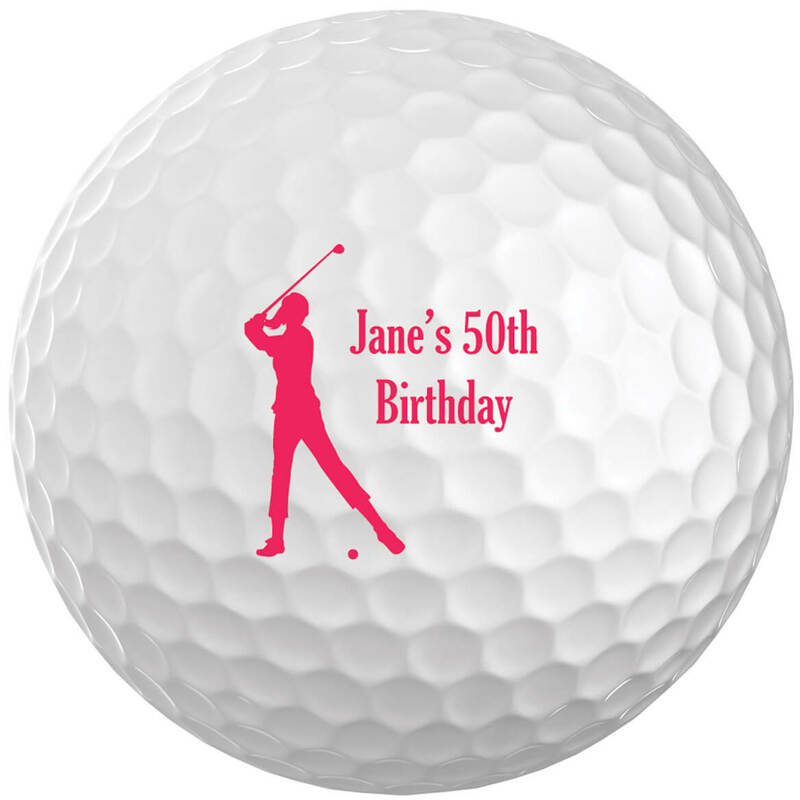 Uses 4 AA batteries, not included; 5″ L.
Made just for your favorite golfer, these quality, personalized women’s golf balls come printed with a special message for her next to an image of a golfer in perfect form. From the first tee to the back nine, these custom golf balls make a great gift for golfers of any skill level. One message per pack of six solid core white balls. Specify message; limit 2 lines, up to 12 characters each. Made just for your favorite seasoned golfer, these quality, personalized over the hill golf balls remind a loved one that age is but a number. Printed with the phrase “I’m not ‘Over the Hill,’ I’m on the Back Nine!” wrapped around a name or message of your choice, these custom golf balls are sure to delight from the first tee to the last. One message per pack of six solid core white balls. Specify message; limit 2 lines, up to 10 characters each. 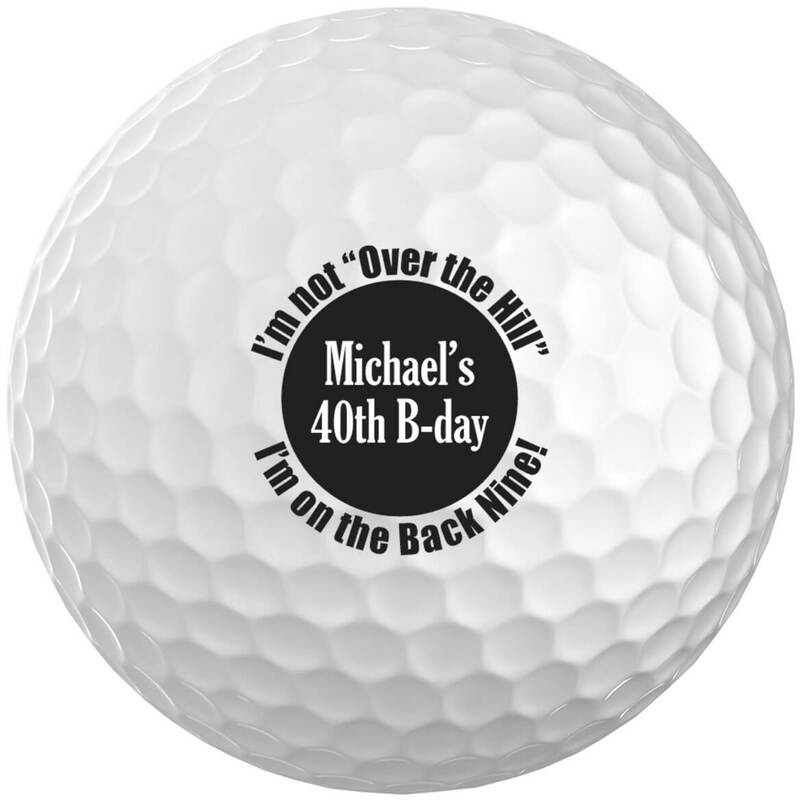 Set of 6; Printed with the phrase “I’m not ‘Over the Hill’ I’m on the Back Nine!” ; Makes a great birthday gift! 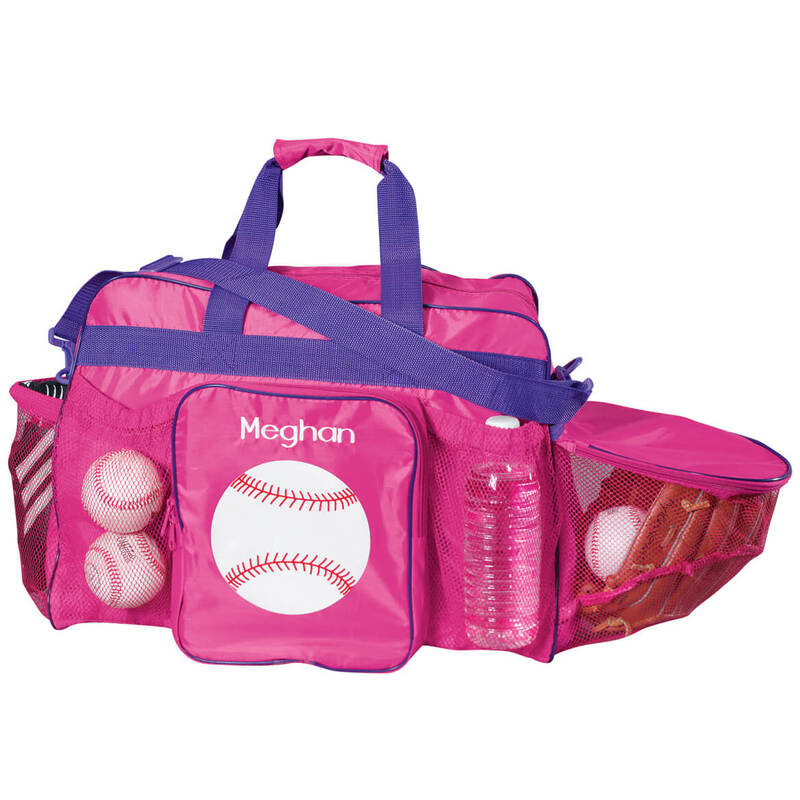 Baseball bag is embroidered with your special athlete’s name, plus 1 large zippered pocket, 4 mesh pockets and an adjustable strap. This baseball bag carries mega gear—even game balls! Specify color: pink or black. We’ll personalize. Specify name; limit 1 line, 10 letters/spaces. Polyester; hook-and-loop handle closure. 18″ long x 6″ wide x 12 1/2″ high; 8″ wide x 10″ high zip pocket. 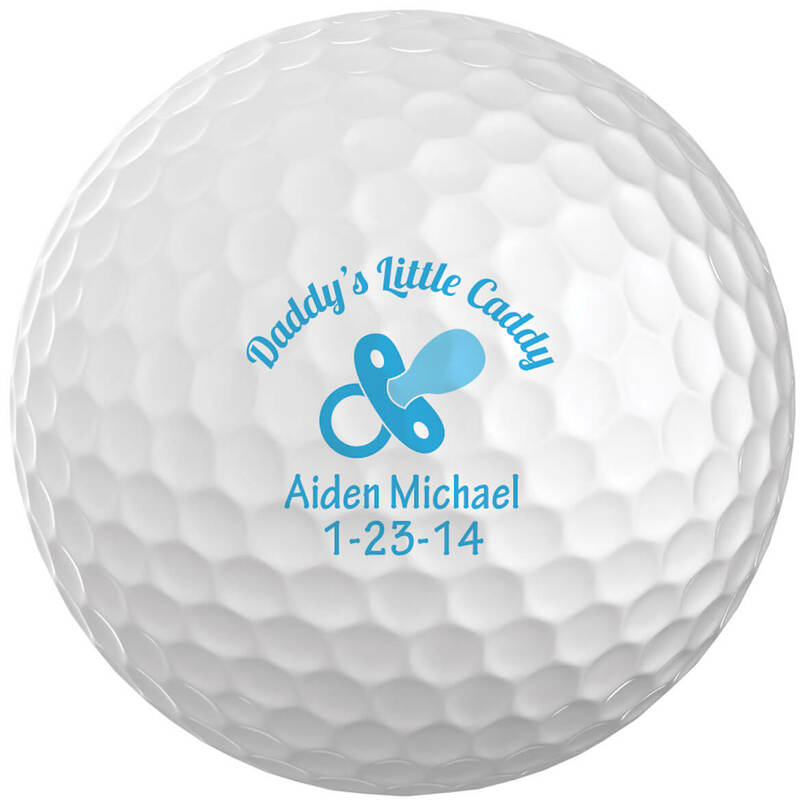 Made to celebrate your favorite little golfer-to-be, these quality, personalized pacifier golf balls come printed with a special message under an image of a pacifier with the phrase “Daddy’s Little Caddy.” From the first tee to the back nine, these custom golf balls make a great gift for any golfing dad. One message per pack of six solid core white balls. Message comes in baby blue or pink. Specify message; limit 2 lines, up to 15 characters each. 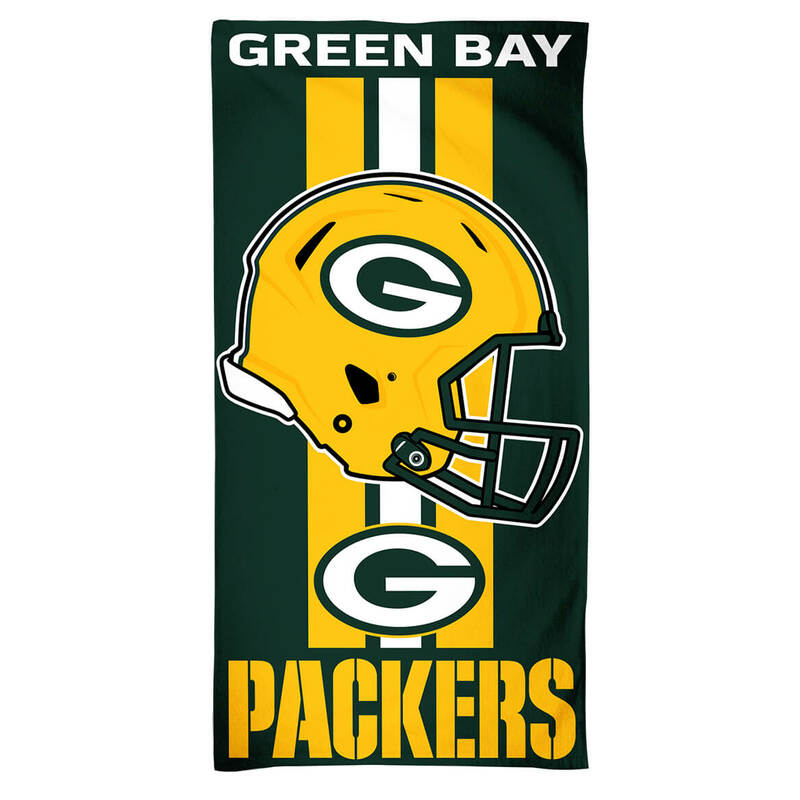 Support your favorite NFL football team with a colorful, 100% cotton NFL beach towel. 60″ long x 30″ wide. Machine wash. Imported. Specify NFL team for each: (NFL A. Cardinals), (NFL A. Falcons), (NFL B. Bills), (NFL B. Ravens), (NFL C. Bengals), (NFL C. Browns), (NFL C. Panthers), (NFL D. Lions), (NFL H. Texans), (NFL J. Jaguars), (NFL KC. Chiefs), (NFL M. Dolphins), (NFL M. Vikings), (NFL NO Saints), (NFL NY Jets), (NFL O. Raiders), (NFL S. Seahawks), (NFL SD Chargers), (NFL SF 49ers), (NFL SL Rams), (NFL T. Titans), or (NFL TB Buccaneers). Designs may vary. Made just for your favorite golfer, these quality, personalized above par golf balls let a loved one know they’re a swing above the rest. 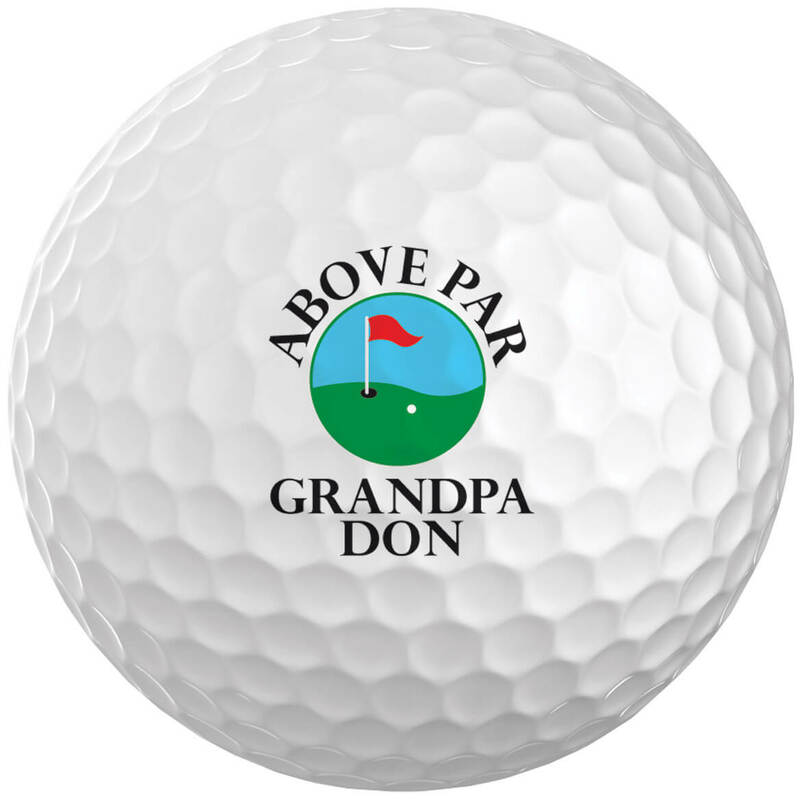 Golf balls come printed with a name or message of your choice under the phrase “Above Par.” From the first tee to the back nine, these custom golf balls make a great gift for golfers of any skill level. One name per pack of six solid core white balls. Specify name; limit 2 lines, up to 8 characters each. 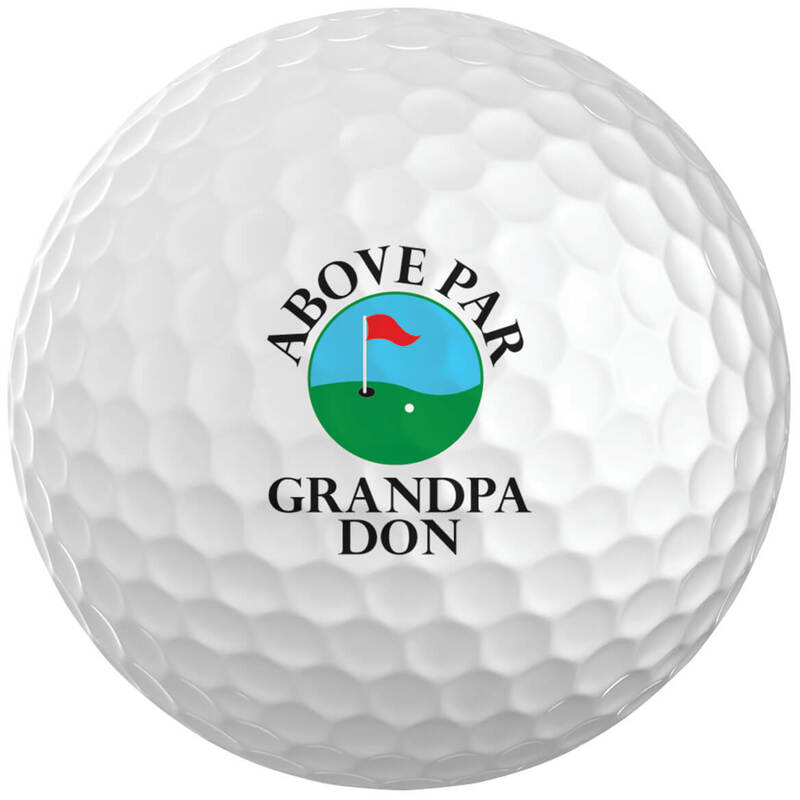 Set of 6; Comes printed with the phrase "Above Par"; Make a perfect gift! Add color and fun to the game with red, blue and white golf tees, personalized, on us! 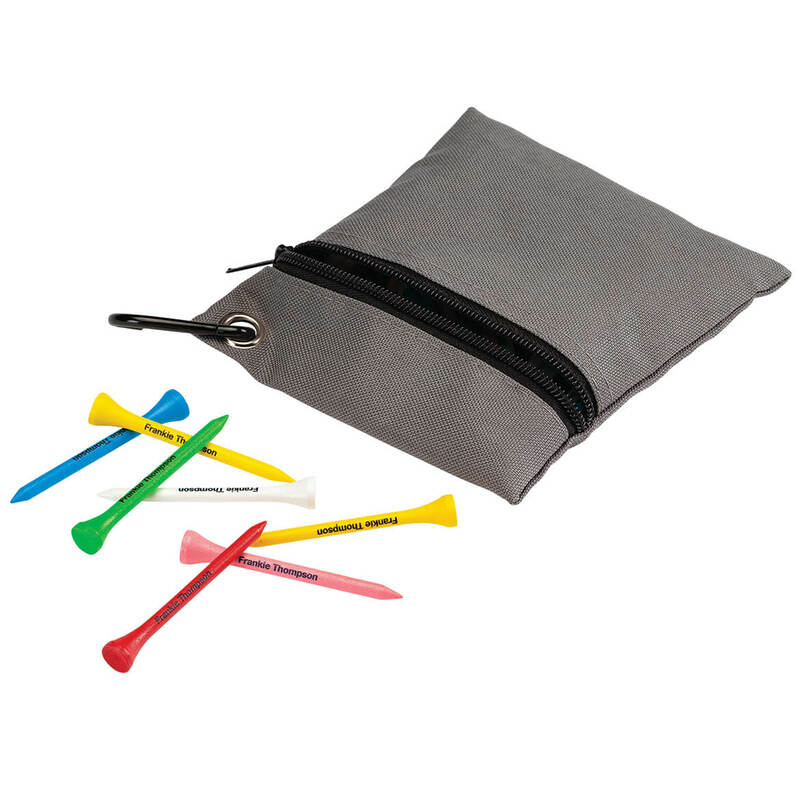 Perfect for the annual family golf outing, school fundraiser, corporate event or a gift for your favorite golfer, the set of 75 premium personalized color golf tees with case assures lasting durability and includes a zippered nylon case which clips conveniently to golf bag or belt loop. We’ll add your name or message, transforming the humble yet functional custom golf tee into a treasured keepsake! Specify name/message; limit 1 line, 18 letters/spaces. Tees: 2 3/4″ long. Bag: 6 1/4″ long x 5 1/2″ wide.